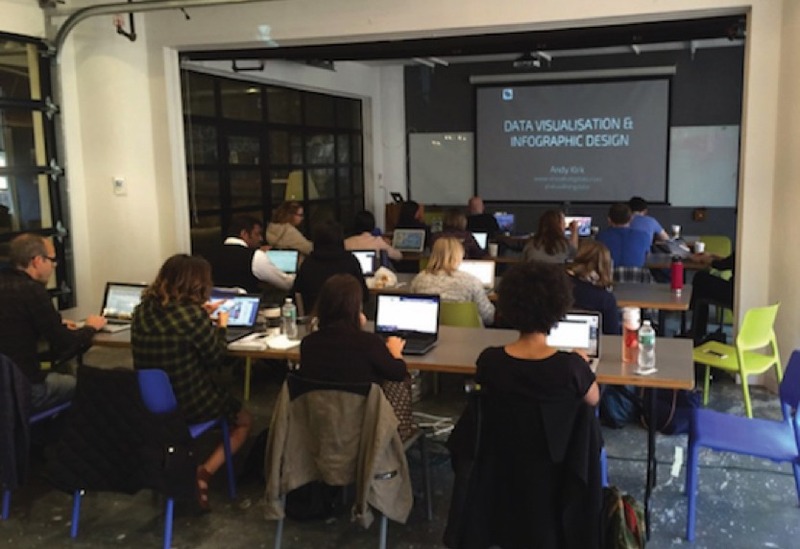 This course is designed for people who want to acquire working knowledge of data visualization. Topics discussed include what data visualization is, common types of data visualization, how to choose the right visualization for a dataset, and how to create visualizations using popular tool and software programs. You do not need to buy any software for this class; weâ€™ll use three free digital data tools: infogr.am, Google Fusion Tables and Tableau Public. Class activities: study the lesson; examine sample data sets and choose the right chart; participate in class discussions. Class activities: study the lesson and reading; re-create demo projects following the tutorials; extract data sets using import.io; create and share visualizations using Google Spreadsheets and infogr.am; participate in class discussions.